The Tyrones. They could be any family. But they’re not. They’re the family at the heart of Eugene O’Neill’s classic stage play Long Day’s Journey into Night. Polarity Ensemble Theatre’s production has been called “startlingly compassionate… beautifully realized” (Four Stars – Time Out Chicago), it’s Reader Recommended and Jeff Recommended. Bryan Breau (Edmund Tyrone) concurs, “All I can really do is try to stay focused and in the right mindset. Don’t get distracted, don’t goof around…much. 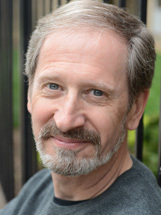 But you have to keep your sense of humor and even with a play this serious; you have to find the fun.” He and Eric Damon Smith (Jamie Tyrone) do manage to mine the script for more laughs than one would expect in a play of this depth. However, the physical demands of his uncanny portrayal a man diagnosed with consumption does drain Breau. He sputters his lines between coughing and appears at times on the verge of collapse. “Most of the time (an actor’s work) tends to be outside various comfort zones,” he admits. Ironically, appearing sickly on stage demands much of Breau’s physical athleticism. 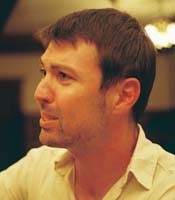 Eric Damon Smith plays the role of the older, aimless drunkard brother Jamie Tyrone. After intermission Smith spends over an hour off-stage only to return with an energetic ferocity in a grueling and devastating scene admitting his character’s vehemence towards his brother. The time off-stage presents certain challenges emotionally and physically. “Being off-stage for such a long period of time it’s difficult to maintain Jamie’s arc. Stepping out of the character is essential for an actor’s sanity but finding a way to engage back into the play after such a long break is difficult. With the fight choreography it’s important to stretch before and after the show. Honestly, it’s hard and I’m still working on it,” Smith says. Despite the grief the characters experience, the cast unanimously agrees that this is a special experience – for them and the audience. The storefront size of Polarity’s theatre, where viewers are placed inside the front room of the Tyrone’s summer home is, literally, like watching a tornado from the eye of the storm. 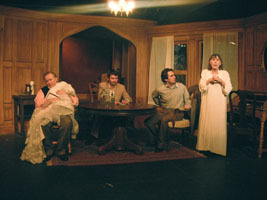 Susan Padveen’s staging allows for the play to be intimately effecting, as can be noted by the rapt attention of the audience shown night after night. Long Day’s Journey into Night is directed by Susan Padveen and features Caroline Latta, Kevin Kenneally, Bryan Breau, Eric Damon Smith and Anne Sears. The final three performances take place at the Polarity Ensemble Theatre in the Josephinum Academy, 1500 N. Bell, Chicago, IL, Friday and Saturday at 7:30 pm, and Sunday at 3:00pm, December 3 – 5. (Please note the time change for the final Sunday). $19 general admission. Tickets can be purchased in online through Brown Paper Tickets by calling 1-800-838-3006. As I finish up my shopping list for the day, I am struck by the similarities between the Artistic Director and the Thanksgiving Chef. Each brings together the best combination of ingredients and cooking. In the theatre, one gathers the team and selects the script, director, actors, designers and technical staff, and provides the environment in which they can “cook” to perfection with the right amount of rehearsal time, money and materials into the final feast. Then it is a matter of getting the guests to the table to enjoy the meal. Consider yourself invited! Taree Chadwick fell in love at an early age. “The first time I read it, when I was a freshman in college, I cried… And that was just hearing my own voice in my head not seeing it or hearing it from multiple actors. I loved the poetry, the images, and the story it told.” She is talking about Eugene O’Neill’s Pulitzer-winning 1956 drama, Long Day’s Journey into Night. She is part of Polarity Ensemble Theatre’s production team for Long Day’s Journey into Night, directed by Susan Padveen. It is part of Polarity’s mission to bring new life to classics, and the best place to start is by the powerful aid of a dramaturg. For those in theatre, the definition is known: a dramaturg researches and documents everything about the text, the world of the play, politics, the times, relevant biographies, anything that is connected to a work for stage, and then distills that information so that the actors and the production team have a solid foundation on which to build their unique ideas. For those outside theatre, the effects of a dramaturg may not be immediately apparent, but it is imbued in everything from an actor’s performance to a lighting cue to a set design. While studying dramaturgy at Columbia College under the popular Chicago director Kimberly Senior, Ms. Chadwick chose a project that would be a significant challenge. “I spent about three and a half weeks of my life putting this sourcebook together, highlighting, typing, reading, photocopying, and living at the library. It was the most ambitious project I had ever done in college and still is (I’m still in school). When I finished it I realized that I did all this wonderful stuff but it would only be for my benefit, no cast or production team would see it.” This is where Susan Padveen enters the picture. As coordinator of the directing department at Columbia College’s theatre program, she was impressed by Ms. Chadwick’s work and asked her to expand on it and become a part of Polarity’s production team. A theater stage on which James Tyrone might have played, from Taree Chadwick's SOURCEBOOK. A literal picture is drawn of O’Neill history, definitions of terms, past production history, images, info on addiction and disease, info on the theater, info on the sea, etc., and from there is the start of inspiration, one based on a comprehensive understanding. Long Day’s Journey into Night is directed by Susan Padveen and features Bryan Breau, Kevin Kenneally, Caroline Latta, Anne Sears and Eric Damon Smith. Performances take place at the Polarity Ensemble Theatre in the Josephinum Academy, 1500 N. Bell, Chicago, IL through December 5, 2010. Showtimes are Friday and Saturday at 7:30 pm, and Sunday at 2:30 pm. Sunday, December 5 will be at 3:00pm. General admission $19. Tickets can be purchased in advance through Brown Paper Tickets, by calling 1-800-838-3006. You are currently browsing the Polarity Ensemble Theatre Blog blog archives for November, 2010.